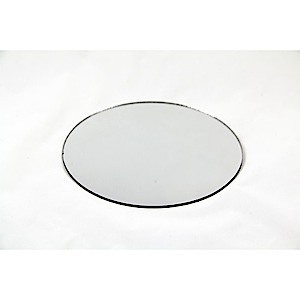 28-6513 - Round Mirror 3"
Reflect with these pre-cut, "craft quality" mirror shapes. Smooth edges make them perfect for tole painting, etching, glass staining and more. Choose from a variety of sizes and shapes including rounds, ovals and rectangles.